If you sit down to work at Unilever’s U.S. headquarters and you’re too cold or hot–or you’re working on a laptop and the lights above you are too bright–you can pull out an app on your phone and tweak the room’s settings. Throughout the building, 15,000 sensors also measure temperature, light, carbon dioxide, humidity, and who’s present in a room, helping the building adjust over time to become more efficient. On a Friday afternoon in the summer, when many of the building’s 1,600 employees are working remotely and the building sensors report low occupancy, the company can choose to shut down whole floors or buildings. 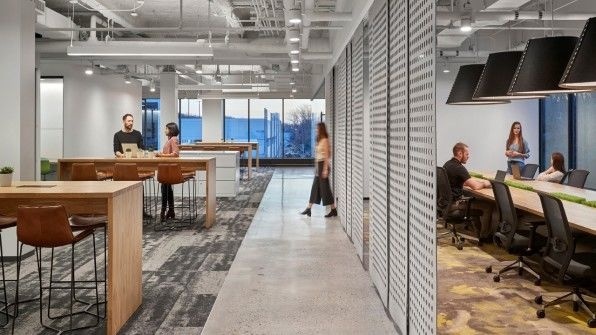 The technology is one part of a new total renovation of the consumer product giant’s New Jersey office park, which was originally constructed in the 1960s and 1970s, designed to help the company reach its goal to be carbon positive in operations by 2030–and help attract a younger workforce.